Don’t be misled by the name. 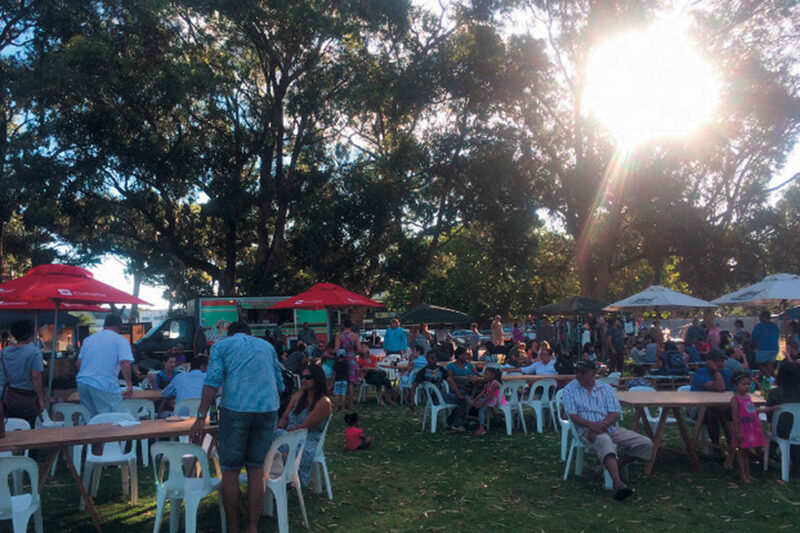 Though this summer night market once took up residence at Claremont’s Oval, its new home is the Kenilworth Racecourse. There’s something quite fun about going deep into the ’burbs. The trees are taller, the roads longer; and, when we find the market, it comes as a surprise – an oasis of people milling about chatting, eating, drinking. While it may no longer be in the location of its name, a loose homage has been paid in the conical way the market has been set up. Stalls and food trucks fence in a wide expanse of green lawn. In the centre of this, there are plenty of trestle tables and chairs, with a few obligatory hay bales too. First things first: we need to find the ‘vineyard’ part. Luckily, that comes in the form of a Tierhoek Wines pop-up bar – and a glass of their chenin blanc goes down a treat as the summer sky fades to pink. A big calling card of this market is the wide range of food trucks – expect everything from Indian-, Hawaiian-, Mexican and Asian food, to the usual burgers and pizzas. But, before digging into the fare, we want to browse the wares. We explore racks of vintage clothing, stands of handmade jewellery and some interesting tech gear – from wine corks that light up in the bottle to selfie sticks. Items procured, we circle back (or is it oval?) to the food trucks. 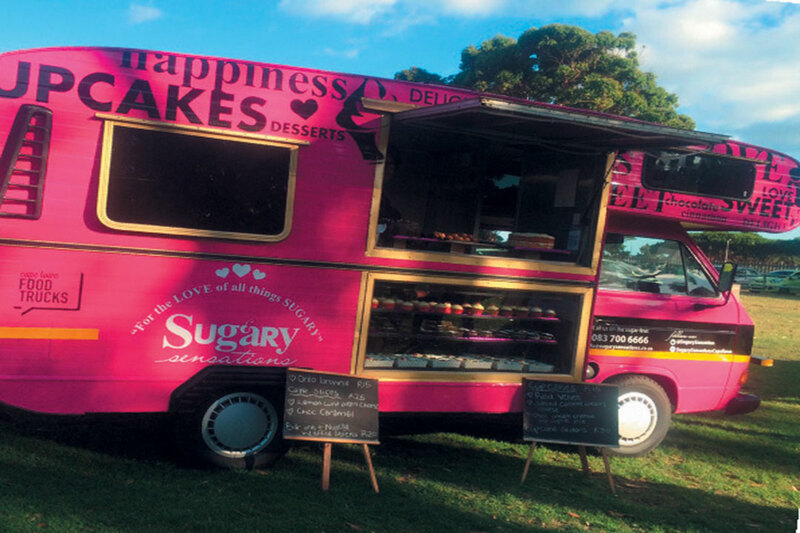 We kick off with the sweet stuff at the bright pink Sugary Sensations dessert truck. Here, we quickly get acquainted with the waffle stick (a waffle folded into a cylindrical shape with a chocolate centre). Another pastry that catches our eye is the whoopie pie, which I had only ever heard about in American pop culture. 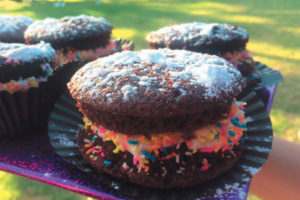 It’s a kind of sandwich, with chocolate buns and a cream-cheese filling, completely bedazzled in hundreds and thousands. Yes, it makes you feel like a kid again.